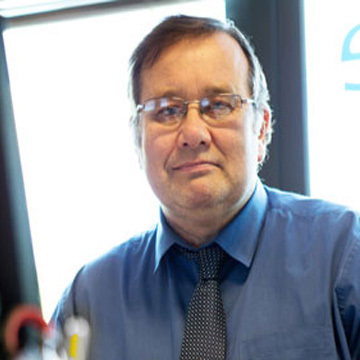 Our volunteer management team is led by Ray Edwards MBE, himself a traumatic quadruple amputee, with over 25 years’ experience living as an amputee in society, business and the charity sector. 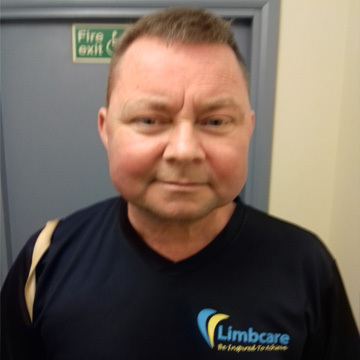 "The Limbcare Centre has been my vision ever since I became a quad Amputee in 1987 and it would be a dream come true if it became a reality"
Ray can very well understand the difficulties of people who are less able, as he has been a quad amputee since 1987 (The UK's Oldest Living Quad Amputee) and is always available to offer his advice in an empathetic way. 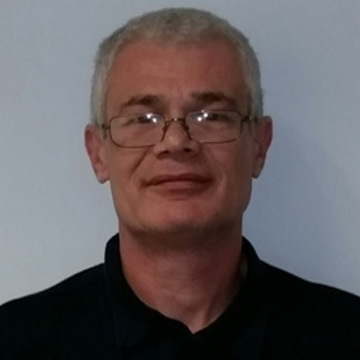 Ray's knowledge of the building industry helped him to design his own accessible home and he can pass on that knowledge to you. I was so inspired by Limbcare's enthusiasm and passion offering hope, help and support to fellow amputees, that I felt I wanted to help this charity. As a below knee amputee it is great to support such a worthy cause. Back in 1980 at the grand old age of 17 my life was changed irreversibly by a road traffic accident that resulted in the loss of my limb below the knee. I have also been very self-determined that my life would remain as 'normal' after losing a limb at such a young age and I have achieved this with support of family and friends. My prosthetic care through the years has really enabled me to continue to do as many and different hobbies and interests as physically possible. I am an avid supporter of motor sports, love to swim and play golf when I can. Obviously these years have allowed me to build a huge wealth of experience and knowledge on disablement services and support. I first became aware of Limbcare in July 2013, when I was approached by a colleague to assist with a design project for amputees and their families. 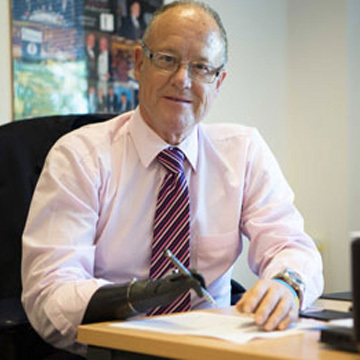 Being limb-impaired and registered disabled since 2009 I am aware of the limited help and support that is needed, for individuals and their families to deal with the physical and mental impact of losing a limb. Although I am not an amputee, I am physically impaired with irreversible nerve damage to my legs following an accident in 2009. I first heard of Limbcare 2 years ago while I was visiting an amputee who worked for the charity. I was studying for the Association of Accounting Technician exams and was looking for some work experience, so I came to the office and met Ray and the team. 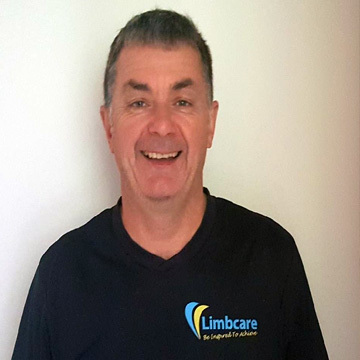 I am enjoying my time here at Limbcare and have had a lot of support in my studies from Ray and the team. I am very proud to be their Finance Director. I have been an ambassador for Limbcare now for approximately 2 years. In May 2017 l had my fifth amputation, this was an elective operation as l could no longer bare the pain in my foot/leg, it was none the less a big decision for me to make. I had the full support of my family especially my wife who is my rock. But l could not have made that decision without the advice, help, and foresight fromRay Edwards who l'm privileged to call my friend. Every amputation l've had he has been there for me, be it on the end of a phone or in person. Now l am back on my feet ( so to speak ) l have been more involved with Limbcare either in the office, out doing collections or trying to give other amputees the same sort of help, support and inspiration l got not only from no only Ray but all the other trustees ambassadors and volunteers that work for Limbcare. I thank all of them. Recently Ray asked me to become a trustee of Limbcare, I didn't hesitate in accepting. I now look forward to growing with the charity and to helping it become great. But most of all l am able to look forward thanks to LIMBCARE. Michael White ,Trustee. 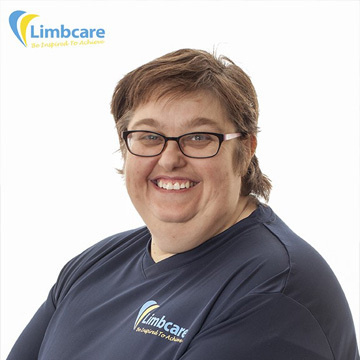 I am very proud to have joined Limbcare, firstly as a volunteer and now as their Recycling and Shopmobility Manager. I feel so happy to be able to use my engineering skills at our Shopmobility unit to offer help to our disabled and elderly people in the community by repairing scooters and mobility aids for them to use, therefore enabling them to have a greater independence.